The 2013 Consumer Electronics Show in Las Vegas is now behind us and much of the buzz created by new product announcements has quieted. ?This year’s show was less about technical revolution and more about the evolution of the technologies available to consumers – and more importantly how those technologies have been adopted and integrated into the lives of people. What patterns have emerged? What changes are ahead of us? What insights can we gain from understanding where we are going, and what is influencing trends? CES 2013 proved that times are changing rapidly. Incredibly, we now find ourselves in a post-PC era, where access to digital information has become commonplace and people have begun to create as much content as they used to consume. The Internet has been figured out, and the last two decades have seen legacy business models collapse and new industries rise. The ubiquity of access to digital content has transformed our world, allowing us to remove geographic boundaries between brands and consumers. Our global markets are driven by a connected culture that is powered by information and through digital socialization. ?The speed at which we communicate has increased to real-time, all the time. For two decades, people have embraced the free exchange of information, the 2013 Consumer Electronics Show has shined additional light on the fact that the machines are starting to catch up. ?Everything is getting smarter and all knowledge is accessible in the form of big data. ?Paul Jacobs, CEO of Qualcomm reminded us that the ?Internet of Things? is moving beyond theory to a reality of ?The Internet of Everything?. Our team went to CES with a variety of clients to help them understand the impact of these emerging trends and to provide some insight on what it all means. 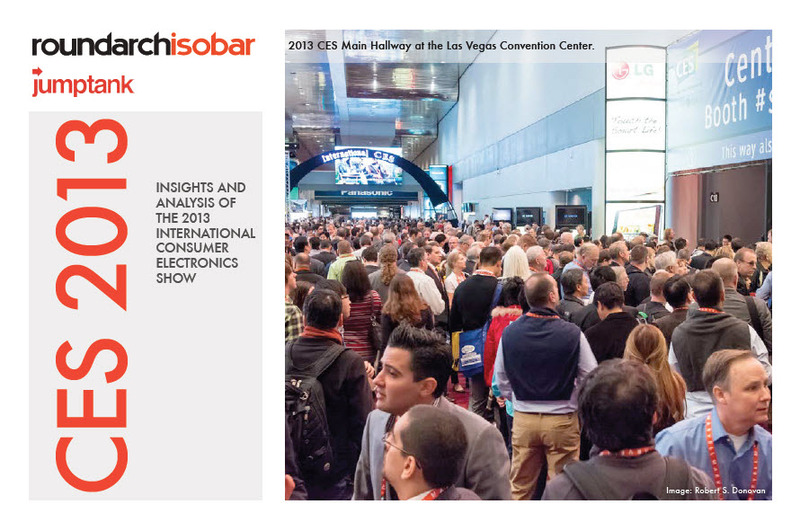 ?The attached report summarizes some key points from CES 2013 and contains insights into what we believe they mean for our business, our clients’ success and the industry as a whole. The content in this document ranges from global impact of current trends such as “The Internet of Everything” to connected cars and major disruption in the TV/Broadcast space to a category-by-category breakdown of the buzz gained with new product releases and strategic announcements by manufacturers.